SHACKLEFORD BANKS, NC - There is perhaps no other animal that captures the pioneer spirit better than the horse. During the early colonial years of what we currently know of as North America, horses, although large and heavy, were important cargo on ships arriving to the new world. These horses of Spanish descent became commonplace in North Carolina, and stray horses soon occupied the outer banks of North Carolina. These stray horses make up several herds along the outer banks to this day and have survived many hurricanes, storms and disease. 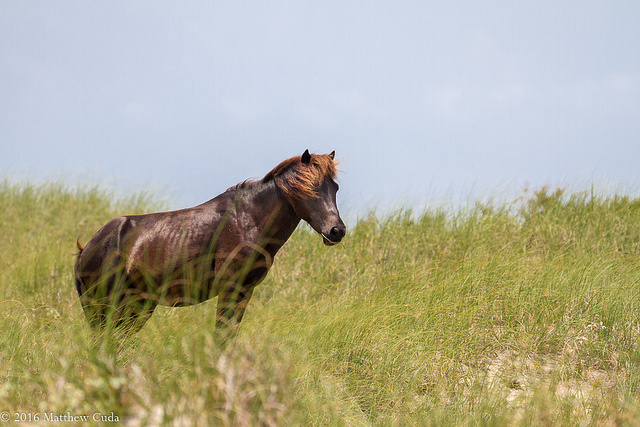 I had never photographed the wild horses before, so I decided the best spot to start with would be Shackleford Banks, NC. Shackleford Banks is a primitive island just off the coast of Beaufort, which according to the National Parks Services, contains about 130 horses in its herd. This herd is divided up into smaller groups called harems. Harems are made up of an alpha stallion, smaller stallions and mares. There are also bachelor groups which contain only males which do not have their own harem. In order to visit the island, I boarded a ferry and after a fifteen minute ride, the ferry beached, dropped its ramp and off we went to find the horses. On this day, the horses were easy to locate as they were just west of the ferry drop off point. 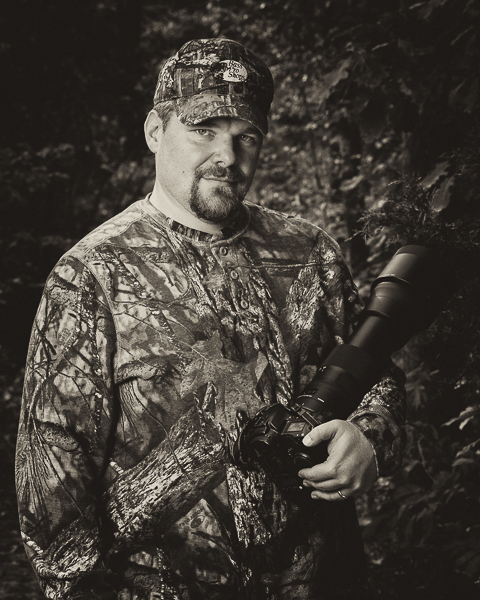 Fortunately, I was smart enough to already have my Sigma 150-600 lens mounted on my 1D and hanging from my shoulder. Once I hit the shore, I was face to face with these amazing wild horses. A fight between a younger stallion (left) and the apha stallion (right). This fight ended with the alpha fully in charge. 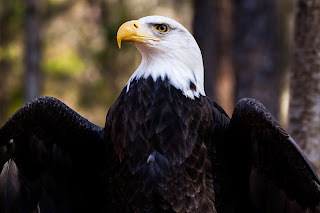 This was a completely new experience for me as mainly I photograph birds and smaller mammals. Only moments after I landed, there was a squabble between the alpha stallion and a younger and less wise stallion. There was a great deal of biting and loud neighing (more screaming really). There is no doubt that I was on their turf, and they made the rules. With the help of our guide, we continued to track the horses across a large tidal pool and into the scrubby interior of the island. Here the horses began to take go about their daily routine of eating, playing and sleeping. The horses do eat quite of bit of the natural grasses on the island which gives them a fairly bloated look. I am told this is due to the fact that the vegetation often has a layer of salt on them, and the horses have no choice but to ingest it. The alpha stallion watches over his nearby harem. It is his job to protect the harem and keep rival males from stealing away the mares. I followed this harem for the remainder of the day and was amazed at how comfortable they are around people. This comfort level, according to our guide, is because Shackleford is more heavily visited by humans than the other herds on the outer banks. 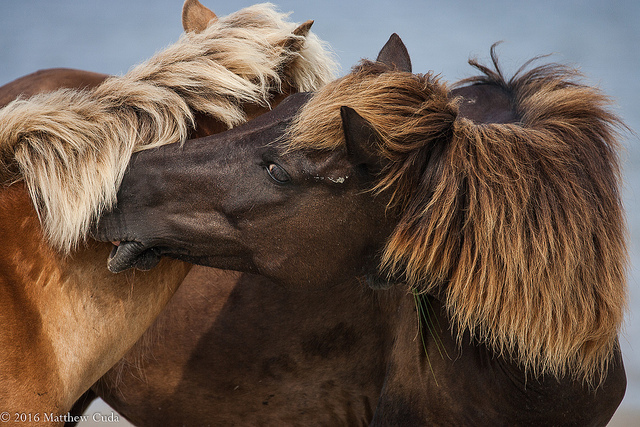 From a photography perspective, you don't need amazing equipment to photograph these horses. Even a smartphone will do in a pinch, because they are so used to people. On the other hand, if you want extreme closeups and isolation shots, I do recommend a zoom lens in the 200-400mm range. In my case, I brought my Sigma 150-600 C and my Canon 50mm. For camera bodies, I had the Canon 7D and my Canon 1D Mark II attached to my Fotasy harness/strap. You can take your tripod, but I really don't recommend it here, because you are going to be on the island in strong lighting. This is due to the fact that you can't even get out to the island until 8:30am. The ferry doesn't run at dawn. In conclusion, I highly recommend the trip to Shackleford Banks for both photography and as a rare treat to view such a historic and important animal in our nation's heritage. I do caution you that this is a primitive island and as such there is no running water or electricity. There is a makeshift pit toilet about a half mile to a mile down from the ferry drop off location. Ferries run all day long so you can easily go back if you find yourself sick to your stomach. At any rate, this is a totally amazing experience and you will not be disappointed. Copyright © 2015 Matt Cuda, All rights reserved. Warning: Totally unrelated to photography, but hopefully this might help some of you out there going through a similar scenario. Many years ago I was working for a software company and let's just say that I and they were not really mixing too well. Every day I went into work, determined to be a better employee, and get along with everyone, but it just didn't happen. Actually, the divide only got worse. In speaking with my boss at the time, who did some digging into this social nightmare, I learned that the other employees were intimidated by me and he agreed with them. I actually laughed out loud when he said that, because no one had ever told me this before. I mean I was in total shock. Only a couple years later another person told me the same thing while I was working out at the YMCA. Again, shock and dismay flowed through my pitiful little brain pathways. How could this be? At the YMCA, I had never even talked to this person or said a word against them. Yet they were intimidated. Another time, my wife and I were talking to another couple and they seemed to agree with all we were saying. After I got home, I asked my wife if she thought the couple really agreed with us or were they just avoiding conflict. She informed me that they were avoiding conflict. I was totally floored by this! It was after these experiences that I began a long look at who I was and who I am as a person both from a physical, spiritual and mental perspective. I think it is important to stop here and take a real look at how you are built and how you hold yourself as a person. In my case, I have a fairly large frame, but don't have height. I am only 5'11 with shoes, so height is not the issue. I do have a large shoulder and chest girth and a thick waste. I guess when I am thinner I have more of a bull dog look. So for people like me, there is no doubt the gene pool is working against us on a social level with body type alone, but I think we need to dig a bit deeper. Much of this is about how you carry yourself. If you project strength and have a body to match, then it stands to reason folks might find you intimidating on the surface. Don't get me wrong, I am no Thor! I am not even remotely close. I'd hate to see how people acted if I had that kind of body and demeanor. God help me! So I have established that I have body traits that certainly could be interpreted as intimidating or at least something to think about on the intimidation front, but how many people have this type of body type. I personally know several who do. Do I find those people intimidating? I think the answer is yes and no. Do I want to get into a physical altercation with these folks? Heck no, but are we really talking about that? It's not like some guy is going to just come and beat me up at work. OK, lets get on with what I really think ads the fatal ingredient to the soup. That fatal ingredients are projection and mental strength and those really are not physical. When I talk, I am loud and project in a booming voice. Kind of a chest thumping baritone voice. This has more to do with the mental and my upbringing than physical. When I speak I wish to be heard and I project out in loud voice. As a child, I spoke too fast and mumbled. To compensate I began to slow down and speak louder. Something like people tend to do with foreigners, but not quite as condescending. Next, I am a strong willed individual who has strong opinions about politics, religion and general living. It is who I am and it is unlikely to significantly change in the future. When I was younger I often saw myself as the protector and defender of those who couldn't defend themselves (both verbally and physically). Whether I really was that person or not, that is how I saw myself and why I project strength. I think this is probably one of the reasons my wife was attracted to me. Strength means security and protection. During my younger years, I had great sympathy for the underdog, the nerd, the person who couldn't seem to get it together. Perhaps these were qualities I feared were in me or what I feared I would become. Maybe even empathetic is a better way to describe this strange code of underdog morality. Finally, I think over the years, I have just become hardened. Hardened by all I see on the news and all I see around me. I have lost some of my sympathy and empathy, but I still remain largely as I was all those years ago. I do not get along with fakes, elites or those who would subjugate others for their own gain. Honestly, most of what people see when they see me is a big dude who doesn't take anyone's nonsense and this is at the very least, untrue. I am large framed, but like most big framed guys I am quite tender hearted. Honestly, I want to avoid danger if at all possible. However, if I am outnumbered and feel like I am being attacked or my character is under attack, I will fight back with that big voice and strong posture. TV has much to do with how we view intimidation. We all remember "Biff" from Back to the Future, right? What a big, mean jerk, right? Yeah, except the actor who played him was kind and tenderhearted. To be honest, I have seen more men who are short and skinny who are much more like Biff than Thomas Wilson(actor). He sure does fit the part though, right? Tall, big head, big brow and a scowl. I think in the end, it's really all about genetics and life experience. It is who I am. You can like it, learn to live with it, or embrace it. The choice is yours. You can let others define you and become a drone or blaze a path forward accepting who you are. Just understand that trailblazers face a lot more danger than the conformist. Those who choose to have an opinion can very easily be labeled and become targets. This I think is especially true in the politically correct world in 2016. The age of the strong, opinionated man has largely come to a close. Society prefers the weaker, drone bee who is easily pushed around and has no sting. I fear for our future when we marginalize people based on looks and demeanor, rather than what is in the heart. What will we become without strength and passion? Whatever you do, don't change who you are to fit in! You might need to watch anger or frustration levels and know when to keep your mouth shut, but don't change who you are to match someone else's idea of what a person should be. Strive to be more like Jesus Christ and test what you are about to say against the Bible if at all possible. Even if you don't think Jesus was God, you can't argue with his character. Try to be tenderhearted and forgiving. Pick your battles and make sure you understand the cost before opening your mouth. Our tongues can be used to fight for others or destroy others. The latter is a path of anger and frustration, but the former is one of respected strength. There are times in life where I chose to destroy with my tongue, and honestly I regret those days and beat myself up over them more than most know. There are also times I fought for the truth against hateful and angry people. In times like these you also can feel pretty bad and it is hard to convince yourself it is worth it. Again it is so much easier to be a drone. But don't do i! Be you!